I already blogged about Sodom and Gomorah: people are looking for it at the bottom of the Dead Sea, although the Bible is quite explicit that the remains were visible on the land (Zephaniah 2.9). When you write about Antiquity, the sources are the thing you can ignore, of course. Or, if you have actually read the sources and haven’t found what you need, you just invent it: Archimedes’ Heat Ray, Herodotus’ visit to Babylon, or Octavian calling himself Octavian – just three examples of things not mentioned in our sources, reproduced by professional historians, employed by universities. Sources are only there to be either ignored or expanded with the stuff you need. Alan Bond and Mark Hempsell of Bristol University are exceptional, because they are capable of making both mistakes simultaneously, if I am to believe this article. They have written a book called A Sumerian Observation of the Köfels’ Impact Event, in which they argue that a cuneiform tablet now in the British Museum contains a description of a Sumerian observation of a very large meteor – actually an asteroid over a kilometre in diameter – that impacted a place in Austria called Köfels. They can date it to June 29, 3123 BCE. Then the Lord rained upon Sodom and upon Gomorrah brimstone and fire from the Lord out of heaven (Genesis 19.24). In other words, Bond and Hempsell are adding something to their source that simply isn’t there. It’s the same approach of texts that I discussed here: if an ancient text says that the Nile has converted into blood, you think “blood is red”, and because algae can be red too, you read the Biblical account as a description of algae. A meteor is destructive and falls out of heaven; the rain of the Lord is destructive and falls out of heaven; hence, a meteor is the rain of the lord. Textbook examples of the fallacy of the undistributed middle. But even when we accept that Genesis describes a meteor impact, there remains another problem. Bond and Hempsell have decided to accept the story in Genesis as sufficiently trustworthy to be studied. So, why don’t they accept the chronology of Genesis as well? Even if we accept the longlevity of the Biblical patriarchs, there is no way to date the destruction of Sodom and Gomorrah prior to the twenty-first century BCE. Bond and Hempsell ought to have stuck to reading the tablet itself. Their proposal is sufficiently interesting. As it now stands, they are adding a meteor to the Bible that is not mentioned and ignore a chronology that is. I hope that the journalist of the article I linked to, messed up things, but I am not sure. No one likes to be in the chair of an amateur dentist. No one likes his government to spend money on nuclear research by amateurs. But everybody seems to believe that amateur historians can add something valuable. Now I am not denying that amateurs have contributed enormeously to the development of ancient history – but Winckelmann and Gibbon lived in the eighteenth century and Schliemann in the nineteenth. As a rule of the thumb, we can accept that, unless proven otherwise, an amateur historian is an unqualified historian. As an example, I mention the British physicist Colin Humphreys, who has recently claimed that the Last Supper took place on a Wednesday, and not on Maundy Thursday. Well, there is a problem indeed. 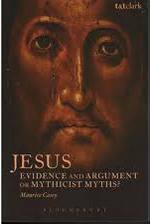 The Gospel of John contradicts the Synoptic Gospels (Marc, Matthew, Luke). The latter describe the Last Supper as a Passover meal; Jesus is crucified on the next day. John, on the other hand, presents it as a normal meal, and states that on the day of the crucifixion, the Jews were still preparing the Passover meal. All agree that Jesus was arrested on a Thursday evening. Humphreys says that Jesus and his followers used a different calendar than the Temple authorities. Using his own calendar, Jesus could celebrate the Passover meal on one day, as indicated in the Synoptic Gospels; while other Jews might celebrate it on another day, as indicated by John. This might mean that the Last Supper actually took place on a Wednesday, which would also create some room for the complex series of events between the arrest and the crucifixion. Humphreys’ theory is not new. It was, in a slightly different form, proposed by Annie Jaubert, in 1957, in a book called La date de la cène. The trouble with the Jaubert-Humphreys Thesis is that it solves a problem that does not exist by using a method that is self-contradictory. First, the non-existing problem. There is absolutely nothing inherently impossible in the series of events following the Last Supper: arrest, a hearing by Caiaphas during the late evening, transfer to Pilate during the night, trial early in the morning, flagellation, crucifixion. I visited Jerusalem quite recently and walked from the western slope of the Mount of Olives to the Davidson Center (which must have been the place of Caiaphas’ official residence), through the Jewish Quarter to the Citadel (Pilate‘s palace); after that, I walked back through David Street, through the Triple Suq to the Basilica of the Sepulcher (which is not far from Golgotha). This is more or less “the real Via Dolorosa” and I needed less than two hours, including coffee and conversations with shopkeepers. Second, the self-contradicting logic. Any professional historian will immediately realize what is wrong with the Jaubert-Humphreys Thesis: they accept the gospels where they are contradicting each other (the date of the Passover meal) while they reject the evidence of the gospels where they are in agreement – Jesus was arrested on a Thursday. This is not logic, it is a travesty. Unfortunately, this is not an innocent, funny story about scientists who should not pretend they are historians. They are common (example 1, example 2) and because everybody knows that unless proven otherwise, an amateur historian is just an unqualified historian, they are not really dangerous. Still, there is a complication: Humphreys has an academic title, which gives credibility to his parody of scholarship. Our universities are sources of disinformation. This is the problem I am addressing with my series on common errors; a solution I do not have, but often I am wondering whether we should not create a system to retract a doctorate. When you look for the ruins of Sodom and Gomorrah, the obvious book to ignore is the Bible. Just like evangelical explorers looking for Noah’s Ark investigate everything except for the text that helps to identify the location of the object they’re looking for, searchers for Sodom and Gomorrah simply forget to read. If there are thornbushes, Zephaniah must have seen the ruins on the land. Looking for the remains of the destroyed cities in the sea is just stupid. QED. At this point, the lecturer paused and asked to those present if they could name another example of the announcement of the destruction of a city. No one knew. The speaker mentioned Thucydides‘ Melian Dialog, in which the Athenians threaten to destroy the city of Melos, which my friend found surprising. He summarized the lecture for me, and I got the impression from his words that the speaker had suggested that there were only two examples of a direct threat. That turned out not to be the case, but since I read his summary of that lecture, I have been wondering how often commanders announced that they would destroy their opponents’ city. After all, it seems like a nice adhortation to your own men that they will be allowed to plunder. At the same time, it must be demoralizing for the besieged if they know that they will be molested, raped, killed. I would have expected that there would be evidence for threats like these, and indeed remembered Censorinus’ speech at Carthage (Appian, Punic Wars 81). And that’s it. I’ve posted it at RomanArmyTalk (here), but even the guys over there, who are usually well-informed, could not mention a fourth instance. Anyone any thoughts? You are currently browsing the archives for the judaea category.